A quick question, Ive been through (most of) the pages but wondered..
Freelander 2.0 TD4 - for my short work commute with 232000 miles on the clock .. so far..
Not something my insurance company recognises so just for own use. But its a fantastic bit of kit. You can set up Home & Work or any other place your car is parked a lot. If it moves out of a zone I instantly get an email. Finally the fan controller Easy IPCU is close to arrive..
Just a quick question... I have a RRS 2.7 tdv6. The FBH world fine, but i don't have a remote for it. What is the cheapest way to get it working as a park heater. I don't need timer, but I would like it is heat the cabin. Is this possible with the RRS? 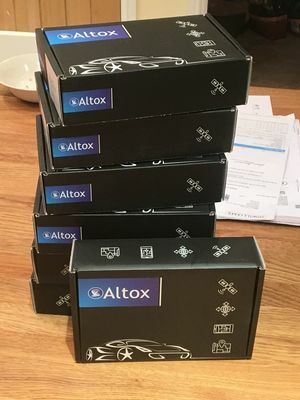 I was wondering if you have any further update on the Altox fan controller? I’m keen on the Altox solution and pitching it against the danhag offering. I’ve sent each of you a pm previously, not sure if you have picked them up yet? I got a few boxes already, tested them with my prototype cable..
Cables should come late next week.. Box is machine made, but it's a handmade cable.. So it takes a little longer..
That’s great news beanie, thanks for the update. Fingers crossed they are ready in time for a festive holiday project! Really interested in the fan controller for my Altox too. Will it work better on my dual battery layout or is it not possible to wire it that way? Beanie - forgot to mention that the email link in your profile doesn’t work. Please message me when you get a chance.